All beaches on the island are beautiful with clear blue waters, and most of them quiet shallow. You’ll find beaches for all tastes: family, quiet, secluded, rugged and wild, etc. Here, we present the most famous and large beaches. You will find many more beaches, smaller and more secluded, just as clean, beautiful, but also much more rugged. Choose the one that suits you best and enjoy. Contact us to plan your trip around Zakynthos by Taxi or Mini Bus, from 40 € per hour. 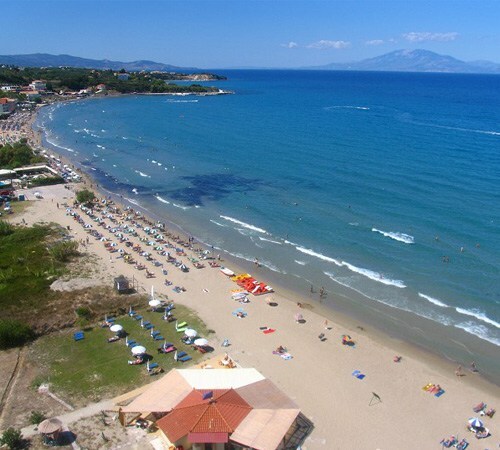 Argasi Beach is just 4 km from the city and is sunny from the first hours of the day. Quiet area with a great family atmosphere. 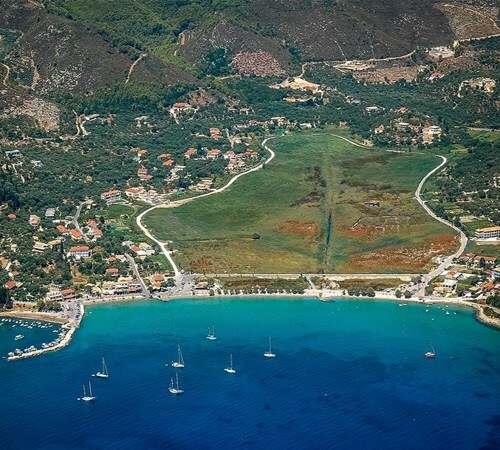 Vasilikos is located 13 km from the city and here you will find several beaches with clear azure waters, for every taste, combined with mountains, lush vegetation and of course the sea. Beaches with either sand, rocks or pebbles. All beaches have beach bars and restaurants. 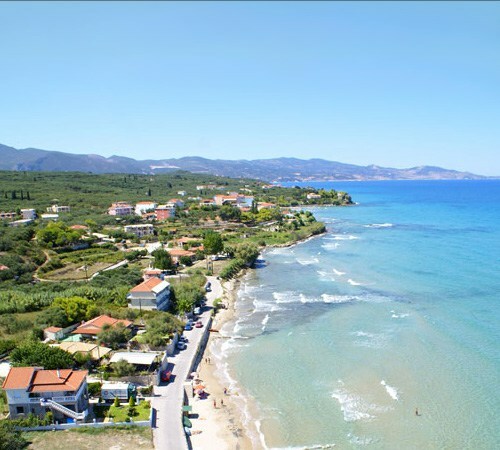 Here below we present some of the beaches near Vasilikos. Porto Zoro Beach is located 10 km away from the city. A magnificent and relatively untamed beach under a mountain. Banana Baya Beach is located 12 km from the city. A beautiful, sunny, clean and big sandy beach for everyone. Overlooking the Ionian Sea and at the foot of a mountain. There is also a beach bar. 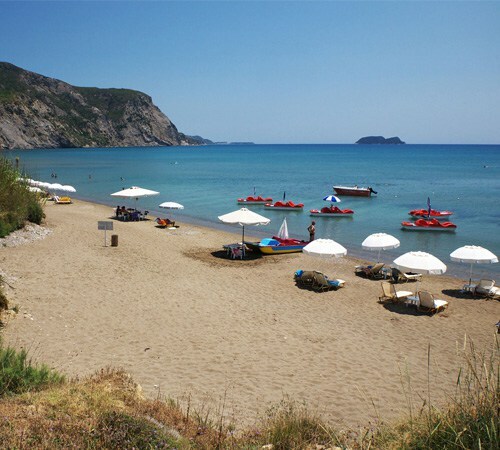 Plaka Beach is located 13 km from the city. Lovely, family, quiet beach with sand and pebbles, for delightful swimming. There you will also find a beach bar and a restaurant. 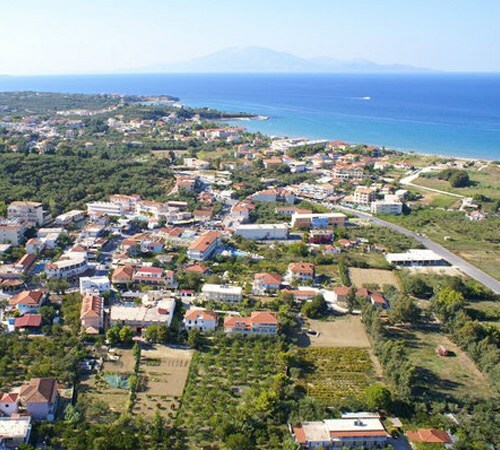 Agios Nikolaos Beach is located 13.5 km from the city. It is a well-known beach with calm, clear waters, where you choose between sand and rocks, with water sports facilities, beach bars and restaurants. Gerakas beach is located 16 km from the city. 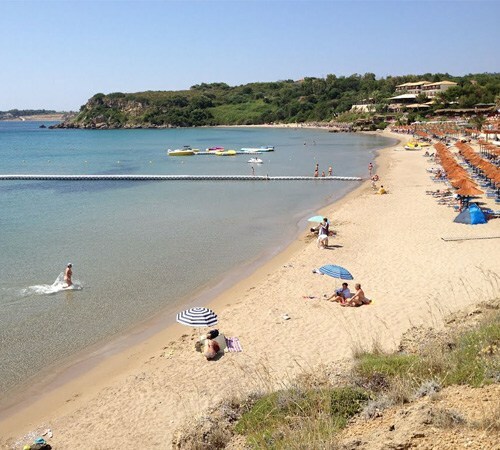 Many believe that Gerakas is one of the most beautiful beaches of the island. It is a long and impressive sandy beach. With and a view of the southern part Zakynthos and situated in the area of the Marine Park of Zakynthos, near the nesting beach of the loggerhead sea turtle. Kalamaki is located 5 km from the city. 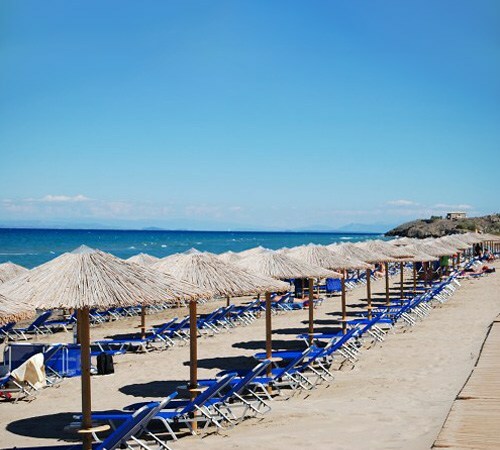 Kalamaki Beach is a quiet, family beach with clear azure waters. 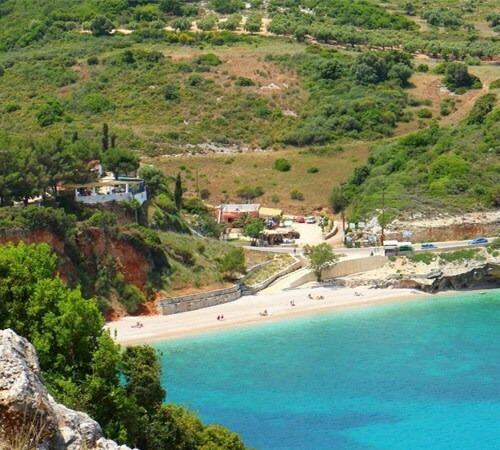 It is also located and inside the Marine Park of Zakynthos, near the nesting beach of the loggerhead sea turtle. Laganas is located 9 km from the city. 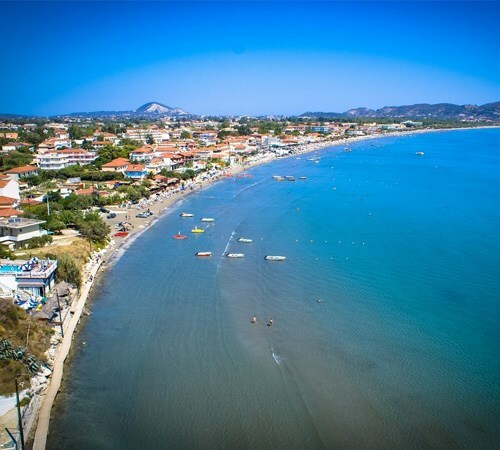 Laganas Beach is the most well-known and popular beach in Zakynthos. Endless and wide sandy beach with crystal clear shallow blue waters. It is located inside the Marine Park of Zakynthos, near the nesting beach of the loggerhead sea turtle. There are also several restaurants and bars on the beach. 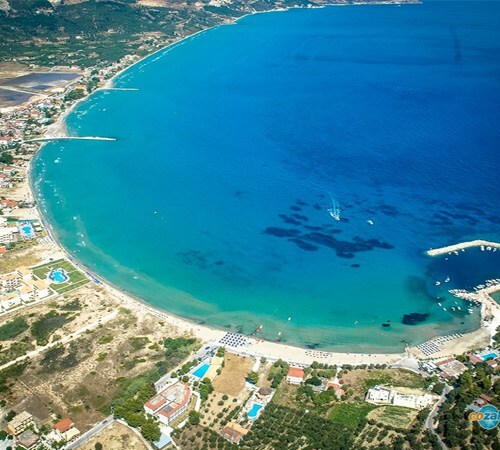 Lithakia Beach, also known as Agios Sostis, is located 11.5 km from the city, just after Laganas Beach. It is a quiet, family beach with beautiful views and surroundings. You can find restaurants and bars here too. The Lake Keri area is located about 16.5 km from the city. It’s a settlement of the main Keri village, with a small quiet beach. The beach is pebbly, but once you enter the water, the bottom is sandy. It has a beautiful landscape, just opposite the magnificent island of Marathonisi, which you can visit with small boats from the small harbor you will find there. Here you will find restaurants and bars, with local and traditional cuisine. 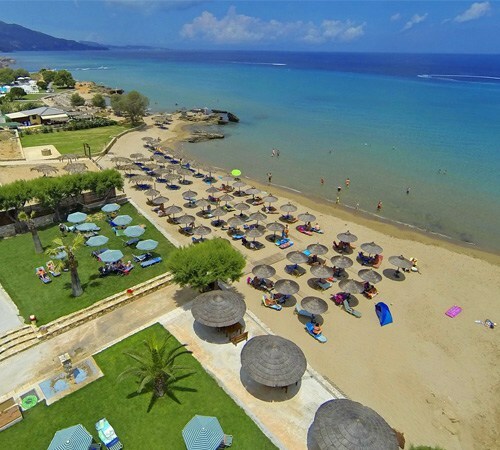 Makrys Gialos Beach is located 28 km from the city. Ideal for those who prefer absolute tranquility, it is a small, picturesque and spectacular beach, with crystal clear waters just at the foot of a mountain. Here you will find restaurants and bars, very close to the beach. Alykes is located 17 km from the city, face northwest and almost forms a single beach with Alikanas, which lies 16 km from the city. Both areas consist in an endless, clean sandy beach with clear, shallow waters. Ideal for families, it has a quiet environment for both children and adults with many restaurants and bars. Tragaki is located 9 km from the city. There, you can find Amboula Beach, a small and beautiful beach with quiet, friendly environment. You will find restaurants with traditional local cuisine and bars. Tsilivi is located 6 km from the city. 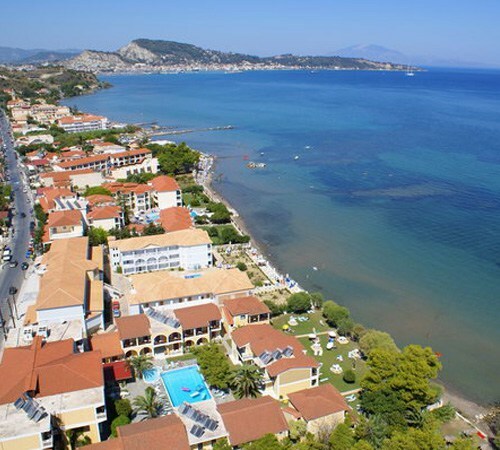 It’s a large and well-known tourist resort and beach of Zakynthos. With clear blue and shallow waters and lots of sand it’s the ideal family beach with several restaurants and bars.